Well, the very scary, four-month, nervous breakdown inducing exciting summer with my kids has begun! If I had to compare it to swim lessons, I’d put myself in the water wing category. Tomorrow, I move up to the kiddie pool. By Friday, I’ll hit the steps of the big pool. By the weekend, I’ll be in the deep end. By Monday, well, I better be on a raft with a margarita in my hand. Since I don’t drink, however, I’ll settle for a decent routine where we can all get some work and play in. 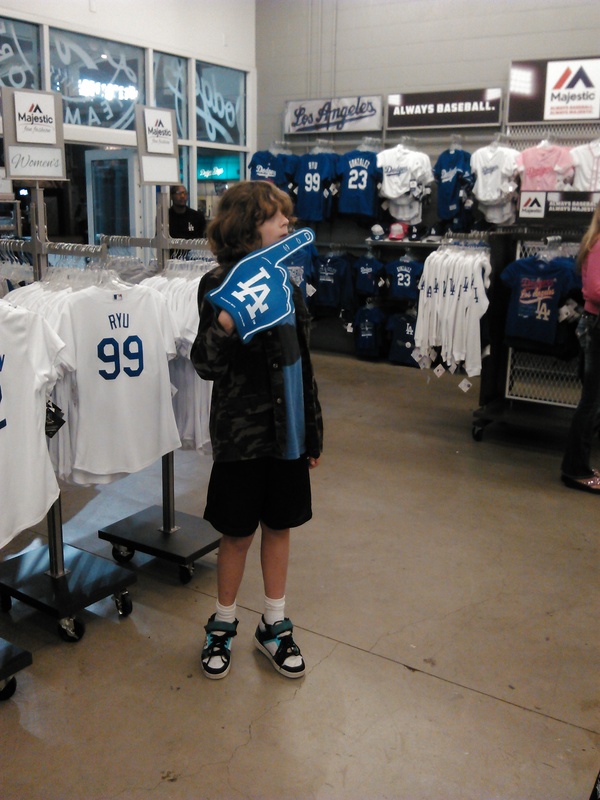 Side note: I’m pretty sure Stink was the only kid in the stadium that wore Heelies combined with mesh shorts and a Children’s Place camouflage suit jacket, but the Dodgers won, and they all matched in their shiny crisp uniforms, so it worked out. Besides, my kid could care less. “I’m wearing Cookie Monster Dodger blue!” he said of his tee-shirt choice. Really, in the scheme of things, his fashion choices are just fine with me. Some of his vocals are back again – sort of a minor throat quack deal. I don’t think it’s due to the lack of Taurine. I think it’s because his NAC also ran out. 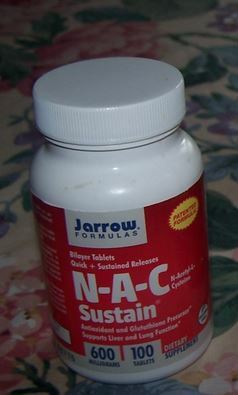 As I mentioned in a previous post, NAC stands for N-acetylcysteine. It is a natural supplement that acts as an antioxidant and glutamate modulating agent. The only side-effect commonly seen with NAC is nausea. Stink has never had this, thank God! Tomorrow I will get some more NAC and I’ll update you next week. bath with magnesium bath crystals. My daugher(11) has a history of tics. After my son was diagnosed with celiac 2 1/2 years ago, our whole family has gone gluten free. I also found out that i have dermatitis herpetiformis (celiac, skin presentation). After she was 100% gluten free her tics completely vanished. Amazing, to say the very least! However, her tics came back three months ago for no apparent reason? I am baffled. They are a degree worse this time too. I am considering having her tested for PANDAS as she was sick right around the onset of the tic returning. It seems like the only logical explanation seeing as how she is still 100% gluten free. I would also add that she started having difficulty sleeping around the same time. We have found that melatonin works wonders for that though. Thank God! Interested in hearing more about the supplements you have had success with and whether or not your son was tested for a deficiency and if he has had food allergy testing done? My son is 6 I noticed all the tics pretty much from eye blinking to head an neck jerking but the crazy thing about it is it onky does it every few months, laat time he ticed was in April an now it came back the end of June an it seeemed to disappear he hasn’t been tested for anything his Neuro said to keep watch an if it becomes bothersome let him know so test can be run! What to do!